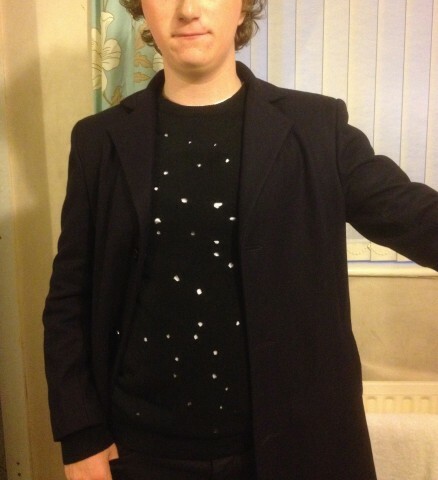 Twelfth Doctor Cosplay « Adafruit Industries – Makers, hackers, artists, designers and engineers! Peter Capaldi recently finished his first full season as the Doctor. He’s the Twelfth incarnation of the Doctor in the BBC series Doctor Who. The Doctor gets a new signature outfit or look every time he regenerates, and Capaldi’s costume is understated and classy. 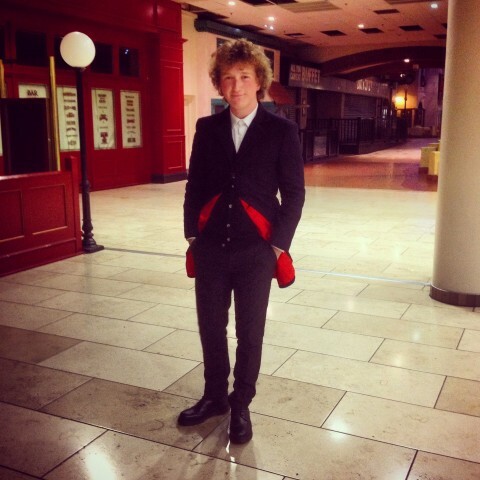 He’s worn a handful of different outfits, but the look that jumps to mind is the black coat with a deep red lining. It’s paired with a black vest and pants and a white button down shirt. …sporting the black lake loafer boots (alt purchased from Ebay £30) My tapered Slim black trousers (River Island £30) my white shirt and black cardigan (Next £20) and my lovely crombie coat (Ebay £100) and my black belt from Debenhams (£18) Then down to the more subtle detail like The Doctor’s gold ring, the original prop is an add on to Peter Capaldi’s wedding ring including a green diamond in the centre, consequently what i wear is two thin golden rings linking to look like one, and in the process looking like Capaldi’s! He made the waistcoat from the Crombie one mentioned; he just modified it down to the last detail – including making the correct buttons. Get more information about the costume at The RPF.